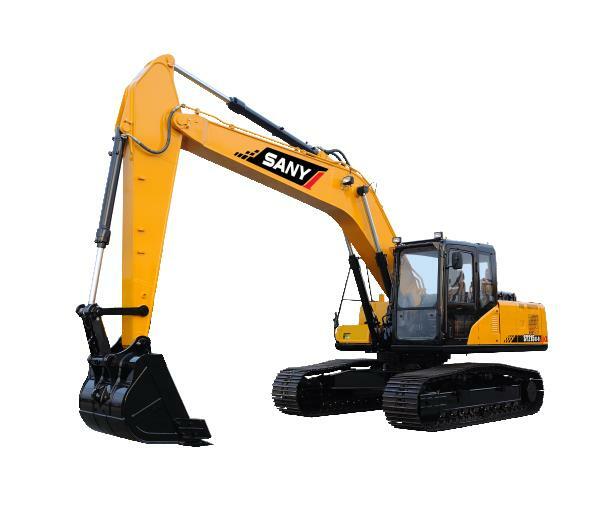 SY215C 22.6 ton excavator features customized engine, strengthened components, high operating efficiency, low fuel consumption, easy maintenance and comfort cabin. Innovative controller with faster consumption and more accuracy reduces the response time of hydraulic elements, lowers the internal power loss of the system and increases the operating output power. The positive flow controlled by hydraulic system considerably reduces fuel consumption. Advanced computer dynamic control technology provides a real-time match between engine power and main pump power. Four power modes maximize fuel economy. 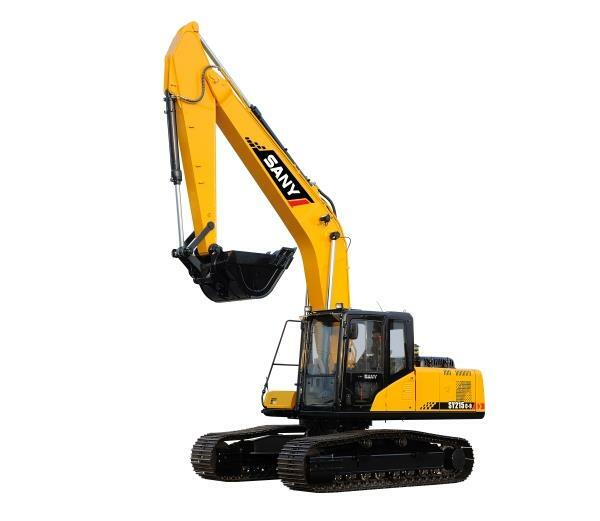 Enhanced work equipment can bear high pressure of quality hydraulic elements and circuits, and strengthen the digging force. 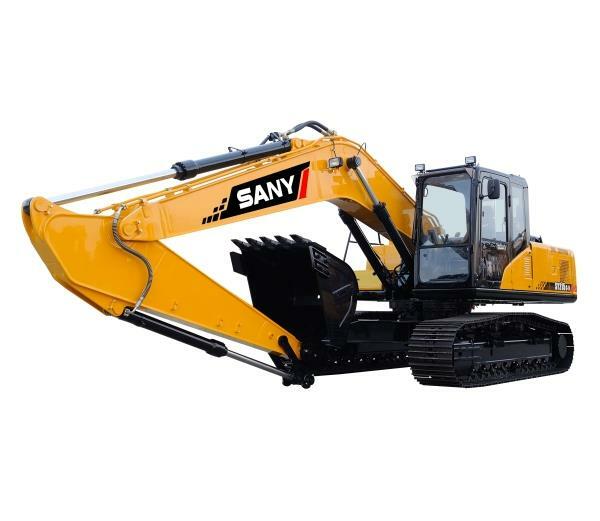 The Mitsubishi engine with rate power of 114/2050 kW/rpm, 6-cylinder, 4-stroke direct-injection turbocharger, and 5.86L displacement is customized for SANY excavators, meeting your expectation on engine stability. Reinforced X-force modeled with digital tools, and plated welded on the two main beam of swing platform considerably improves the bending resistance performance. Track rollers, carrier rollers and idlers use seal in lubrication that enhances service life. The tri-grouser track shoe rolled with high-strength alloy provides favorable contact, stability and durability. The top plate of cab is punch-formed with thick high-strength steel sheet integrated with reinforced ribs which maximize the safety of operator. 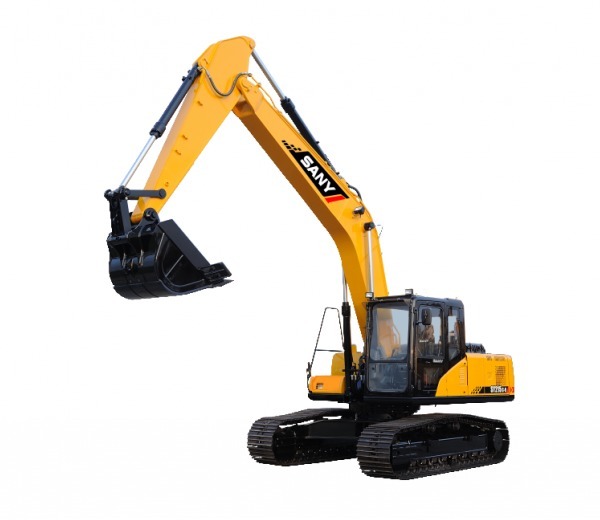 Rear view mirror of SY215C medium excavator is mounted on both sides of the cab which can observe the situation behind the excavator without looking back. The control provide you with the best driving experience for levers and joysticks designed and arranged according to ergonomic, adjustable seat with suspension, noise reduction design and low-noise engine. Coolant radiator, oil radiator, intercooler and condenser are placed side by side for easy cleaning and maintenance. The radiator, fuel tank, hydraulic oil tank and oil pan are equipped with screw plugs at the bottom, which is convenient for discharging substances and waste liquid out in changing and cleaning oil. Interior of the fuel tank has been treated well against rusting. No rusting will occur even if the tank is soaked in oil containing water and phosphoric acid and other chemicals for a long period of time.